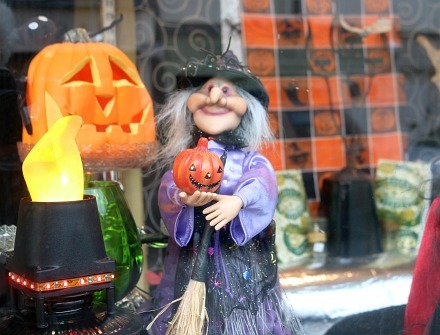 150 years ago, Queen Victoria would have celebrated Halloween at Balmoral. 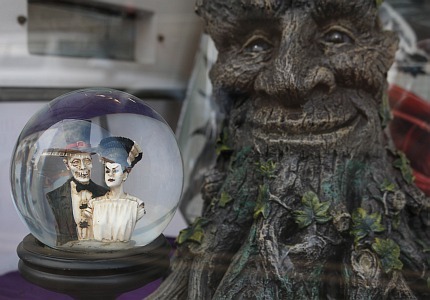 The Halloween Ball, in all its splendor, would have been reported down south in the Abingdon Herald. Now thanks to the influence of TV, and the Simpsons, Halloween is celebrated here in the south as well. 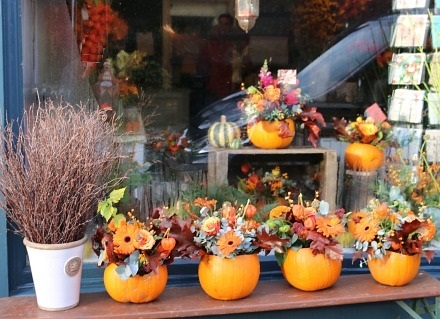 A lot of our shops and shop windows have been bedecked with spiders webs, pumpkins and other spooky paraphernalia. Here are just four shops in Abingdon . Do you know who they are? 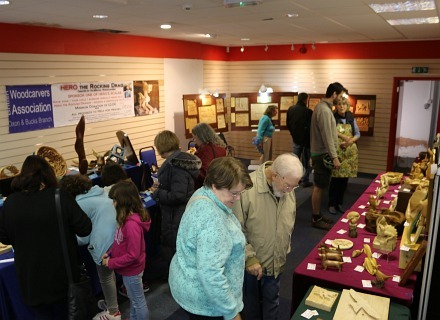 On Saturday, Brian Eastoe, the tutor of the local woodcarvers associations, was doing a good job of guiding people into the Community Free Space to see the carvings. He joked that we would be allowed to leave once we had voted for our favourite three wood carvings, and signed the visitors book. 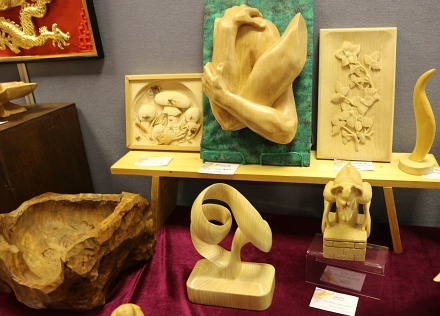 Wood carving was happening on the premises, and Brian, was looking to get as many opinions as possible on the recent works. 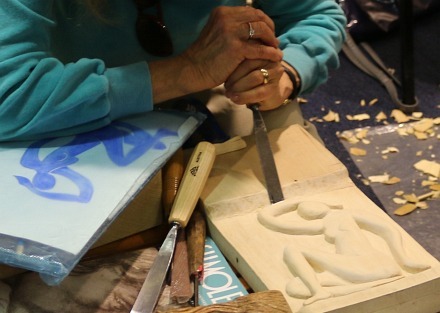 Some works took a huge amount of work and looked very cleverly executed. Others were simple with a few simple curves. All was going well. We filled in our 1,2,3 on the slip provided, and wrote something in the visitors book, and were about to leave, but then out of the blue Brian said that Van Gogh was not a skilled painter, or something similar. My wife looked astonished and said she could not believe he had said that. A very robust discussion followed. 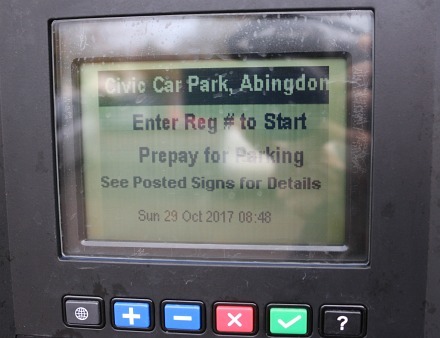 The new Vale of the White Horse District Council machines, in Abingdon’s car parks, turned the clock back automatically. 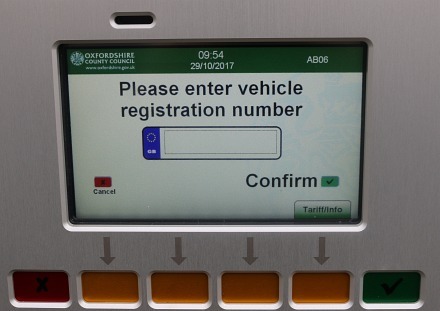 The new Oxfordshire County Council machines, for on-street parking, appear to need manual intervention. 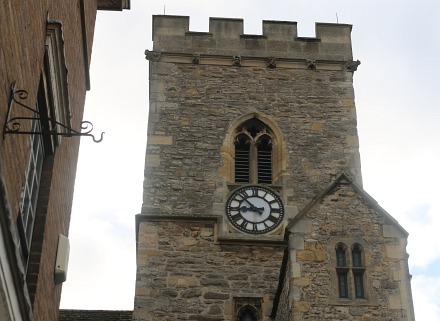 One clock on the tower at St Nicolas Church had been turned back. The other clock has not been working for some time. 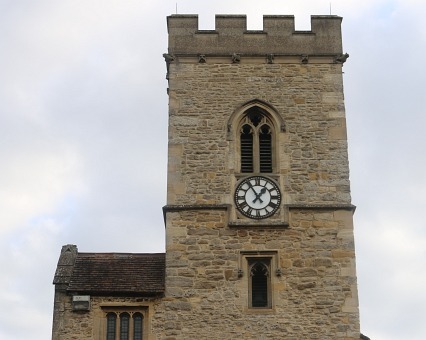 Clock repairs can cost thousands when they are so old. 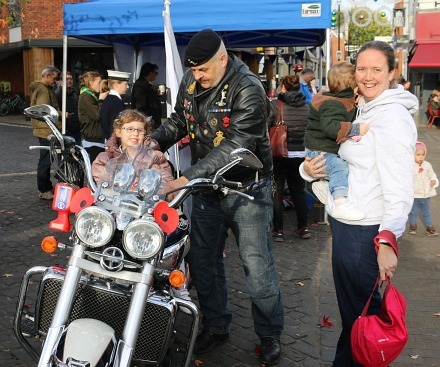 There was the first ever Poppy Festival on the Market Place in Abingdon today – 28th October 2017. 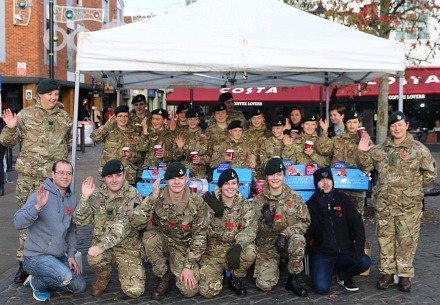 Army cadets were out in force to sell poppys, and soldiers from Dalton Barracks came to support the event. 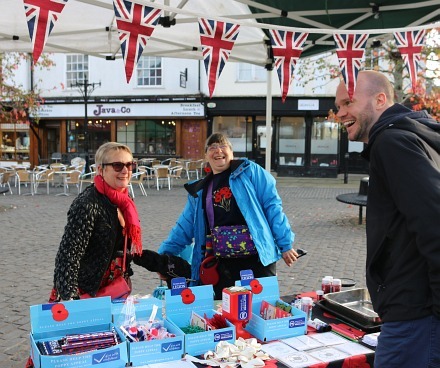 Clare organised the event, and brought together many poppy themed stalls, and people. 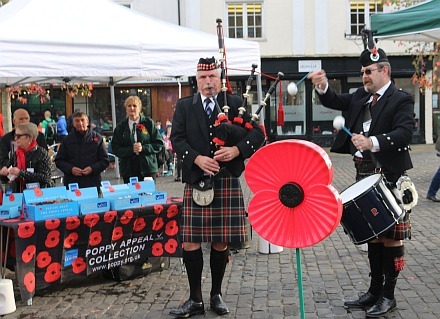 A giant poppy was brought into the Market Place to the sound of drum and pipes. This event is at the commencement of the fortnight of the Poppy Appeal leading up to Remembrance Day on 12th November. 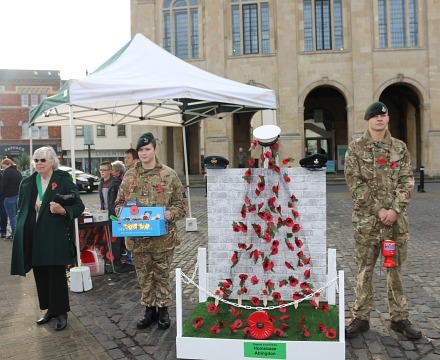 Homebase donated a waterfall of poppys like the ones first seen at the Tower of London, if a little smaller. 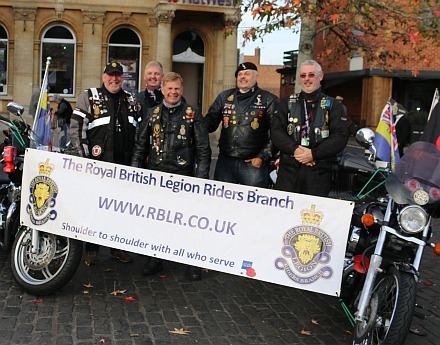 The Royal British Legion Riders Branch were there. Vintage cars came later. 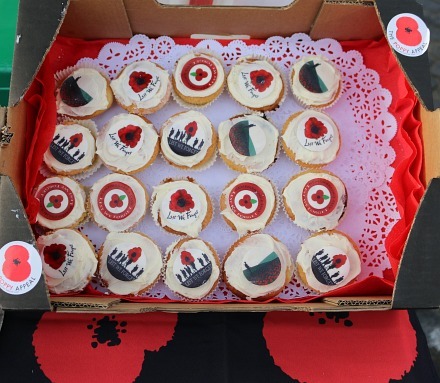 Thre Titanic house band will be on at the Royal British Legion Club in the evening 8.30 pm,and tomorrow there will be a sponsored poppy run in Abingdon, one of seven being held. 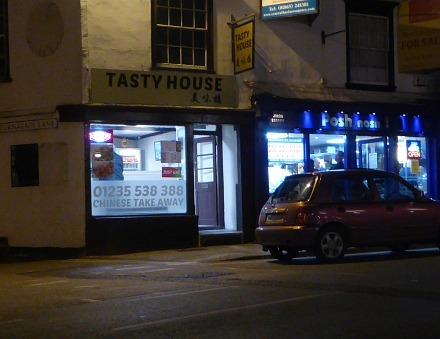 Abingdon’s most recent takeaway is at the corner of Bridge Street and Turnagain Lane. It opened on 29th September. This evening felt cooler but the stars looked brighter. On Nags Head Island there were lights both sides of the bridge. As well as the panoply of lights and flares along the Nag’s Head side, Annie’s at the Boat House was still lit up on the other side. 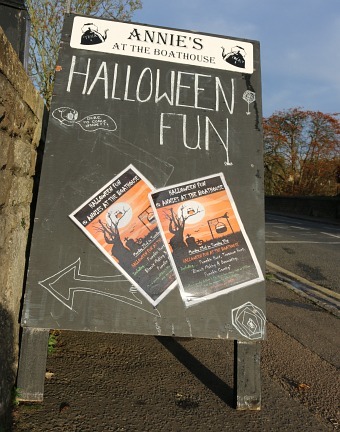 Annie has been putting on free films for children during half term and up until 31st October, and has many other Halloween themed activities.